I don’t know about you, but I’m stuffed. While we’ve had dozens of wild turkeys roaming around for months, this year we went with a delicious ham for Thanksgiving dinner. Ham, potatoes, greens, biscuits, and the bestest of friends made this a wonderful and memorable Thanksgiving in our new home. I suspect many of you are gearing up for Black Friday, but if you’re like me, you also do plenty of shopping online as well. With that in mind, we’re excited to be teaming up with almost 80 bloggers to bring you lots of chances to win amazing prizes and some handy gift cards in the 2012 Holiday Turkey Hunt. After entering our giveaway below, make sure you enter the Holiday Turkey Hunt Grand Prize, where one lucky winner will receive a $135 Amazon GC! Don’t worry, no turkeys were harmed during the writing of this post. One winner will receive a $25 Amazon GC! Disclosure: The WiC Project and the Holiday Turkey Hunt Blog Hop bloggers are not responsible for prize distribution or for sponsors who do not fulfill their prizes unless it is noted that they are self-sponsoring the prize(s). I visit the WiC Project for reviews and giveaways! I like the deals and giveaways. for the amazing giveaways and awesome deals. For all the chances you give us to win! I visit to find out about the latest deals. Who doesn’t love a bargain! I love reading about all your neat ideas and your great giveaways. I visit for the awesome giveaways! I like the giveaways and deals. Because you have all the best deals of course! for the giveaways mostly. but i do like other posts. I visit for the wonderful giveaways! I visit the Wic Project to enter giveways. i enter mainly for your giveaways. because of your great giveaways! You always have interesting posts and I love your giveaways! This is my first time visiting, but I love the recipe section!! I love signing up for giveaways. I think it is fun to meet new people and just have fun doing it! I’m usually here for reviews and giveaways. I ike the reviews, deals and giveaways. I like the reviews and giveaways. I visit for the giveaways. I like reading the product reviews it lets me know a great deal about products that I’ve been interested in buying. I first started visiting some months ago after linking to one of your giveaways. I visit for the reviews, giveaways and to hear what you have to say about blogging tips! Love the giveaways, reviews, and recipes!! i visit because you have a nice layout that is easy on the eyes (makes a difference!) and for the great reviews,recipes and giveaways. keep up the excellent work! Love the information and giveaways. You have wonderful reviews and giveaways! This is my first time here. I saw your link on Making Time for Mommy. love the giveaways and reviews! I love the giveaways and reviews! Love the giveaways and recipes! I love giveaways and winning. i visit cuz they have awesome giveaways! I visit The WIC Project to read the reviews and enter giveaways. I visit because I like your giveaways! Thanks! to enter your awesome giveaways!!! I visit it to read reviews and enter amazing giveaways. I love the giveaways,plus the setup is nice and relaxing, I just love coming here. Hoping to win something-it would help. Your giveaways are always awesome. I like the review giveaways. well known, giveaways, and user friendly. I visit the site because there is always something interesting to me on it. Whether it be a recipe, a review, or a giveaway, there’s always something for me to check! Thank you! I found you from the hop. I like the daily verse on blog & emails. I enter giveaways that were in your emails. I just started visiting because of the hop, but you have some powerfully uplifting content and I love that! Well, giveaways, but I do love finding some great recipes, I’m just learning how to cook and I’ve been finding great inspiration on many blogs lately! I love the giveaways and reviews. I visit for the reviews and the giveaways. I love all the good giveaways! The giveaways are great! And it provides plenty of information. I visit for the amazing giveaways!! Love the giveaways and the reviews. I love the reviews, giveaways, and mustard seeds. Thanks! giveaways and you are involved in the community- I appreciate that. You have some of the best and easiest giveaways! I visit because you have awesome giveaways! I love your reviews and giveaways! I like the reviews and giveaways! Great giveaways, info on items, reviews and savings! I visit because of the great giveaways and reviews. I generally come here for contests. Love the product reviews & giveaways. It’s nice to learn about cool or new products on the market! Thx for the great giveaway. Mostly for the giveaways, but occasionally for recipes. I love the recipes and giveaways. First time here so honestly it was for the Holiday Turkey Hunt but now that I know about this blog I will be back! I love the giveaways! You have an interesting blog and great giveaways! All about the contests, m’ladies. I visit for the reviews and giveaways. Love ’em! for recipes and Giveaways!!!!!! Gosh I’d love to win such great things!!! it is fun! I LIKE TO SEE WHAT YOU HAVE GOING ON. I LOVE THE GIVEAWAYS! First time visit for the giveaway. I have to say reviews and giveaway! Thank you! I visit for the contests. I like learning about new products in your reviews. I think you give an honest opinion. The giveaways bring me here. I like the diversity of the material, overall message, and subject matter presented on the site, and also the visual presentation. I visit your website because I love your giveaways! So I could enter this giveaway. I love your giveaways and review posts! I visit for your great giveaways! Thanks and keep ’em coming! I visit WiC project for the giveaways. I generally come for the giveaways, like everyone else, but I like to read articles/blogs of interest to me as well. The honest answer is that I came for the giveaway. I visit because it is always popping up in my google searches. I come for the giveaways and read other posts that interest me. I come for the giveaways … and I visit if one of your posts in the email intrigues me. I love to come for the giveaways! I visit because you have great giveaways. Thanks for the chance. Great giveaways and awesome reviews! I like all the personal posts! I follow for the giveaways. Thank you. I like to enter contests and found your awesome christian site. I visit for the wonderful giveaways of course! I come for the giveaways and for the great information that you share! I follow for the giveaways. But I find things that interest me & I read them! I’m subscribed to your blog via email as I love all the giveaway snd information you share! I like to come for the amazing giveaways! I visit because you have great reviews and giveaways. I visit for your contests. I like the articles and the giveaways. I come because you have some really interesting posts and I like the giveaways. You have great giveaways on you site. Thanks! Usually for giveaways, sometimes for reviews. I enjoy the reviews and giveaways. I love the giveaways you have. you are good to your followers. To be honest it is for the giveaways but I’m loving the bible verses a lot! I come for a lot of the giveaways, but really enjoy your reviews also. I like reading your reviews and your giveaways are always great. I love the giveaways and reviews!!! I like the giveaways and discounted product information! Stopping in to say hi!!! I enjoy the content reviews & giveaways. Love the giveaways and reviews! Thank you! I found your site in a giveaway hop, subscribed because I like your reviews and giveaways. Great giveaways and reviews of things that I actually would use! I found you with all the christmas giveaway hops going on! I come for the product reviews and giveaways! For the reviews and giveaway. I visit for the wonderful giveaways and reviews. I love to see reviews! I come by for the deals. The content and the giveaways! I enter to find out about new products through giveaways! I visit to find some great reviews and giveaways and to enjoy the positive community you’ve built through your site. Because you have great giveaways! I visit for the interesting posts and great giveaways. I like seeing what you have to say. I have a view through Rss reader feed. You offer some really great reviews and giveaways. Usually it is for the contests. I visit because I like the reviews and the layout is really great. I like the posts, reviews and giveaways! I visit to read reviews and posts. Love the recipes, reviews and giveaways, also great blog design! I visit because I enjoy the giveaways. Visit for the giveaways and any other new tidbits I run across. I visit for the newest giveaways to be honest. I like reading about the deals and entering the giveaways. I love the giveaways… and they helpful content! 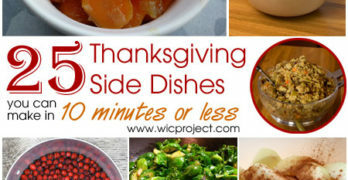 I visit the WiC Project for the informative reviews and fabulous giveaways! I visit for the reviews & giveaways. I visit the site for your great giveaways. I read reviews and enter your giveaways! Thanks for the great one now! Thanks for hosting this giveaway. Good luck to all entrants, but fingers crossed. Your hosting giveaway and was sent here! I visit The WiC Project for the great contests! Thanks for the giveaway…the occasional recipe, but mostly the reviews / giveaways ! I enjoy reading the reviews so as to try new products. Great info and lots great prizes to win!